Personalized 4 pc Journal Gift Set w/Keepsake Box with Religious Cross & Pen, Available in Red, White & Blue - Teals Prairie & Co.
024954_Red, 024954_White, 024954_Blue This quality bounded note pad with rich pages which can be used for craft notes, as a personal journal, or diary. 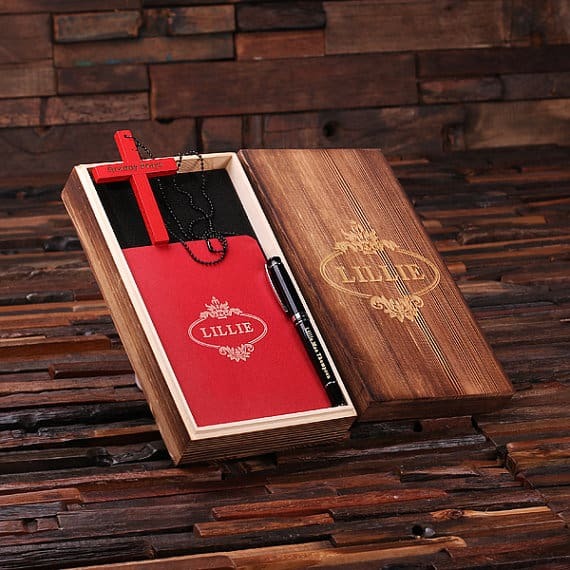 Also comes with wood cross, pen and wood box. Unlined white pages.